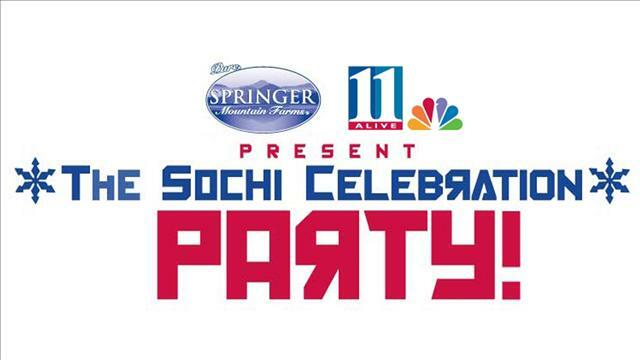 11Alive and Springer Mountain Farms present The Sochi Celebration at Atlantic Station Central Park on Friday, February 7 from 6pm until 11pm. Gather your family and friends together to celebrate the opening of the Winter Olympics in style! Le Cordon Bleu Culinary Institute will provide a tasting menu of delicious grub inside a heated tent while a live Russian band keeps you entertained. There will be plenty of vodka sponsored by Russian Standard for you to sip on while gazing at ice sculptures and preparing for your TV debut – yes, 11ALive will be live on-site reporting from the event! Throughout the night there will be random drawings for sweet prizes such as a fur coat from Douglas Furs, chicken for a year from Springer Mountain Farms, the ultimate vodka prize pack from Russian Standard, restaurant gift cards and more! The fun doesn’t stop there, though! Guests of the event wearing a wristband may also enjoy a discounted ice skating ticket for $8 on February 7 only! Purchase your tickets in advance to score the best seat in the city to watch the Opening Ceremony of the Winter Olympics! Tickets are $35 each + tax, which includes all of the food and entertainment within the tent and 2 drink tickets. Any other drinks can be purchased from the cash bar provided. A portion of the proceeds will go to aid Atlanta culinary students through the Career Education Scholarship Fund at Le Cordon Bleu Culinary Institute.